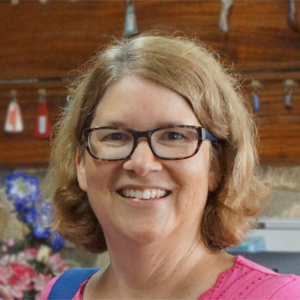 Janice has been with Lay Mission-Helpers since 1994 and is currently serving as director. She previously served as program director and associate director (when LMH was under the mission office of the Archdiocese of Los Angeles). Before working for LMH, she served as a Lay Mission-Helper for four years in Sierra Leone as the secretary to the Bishop of Makeni. Prior to going on mission, she worked at McDonnell Douglas (now Boeing) in administrative capacities. She graduated from Mount St. Mary’s College in 2004. 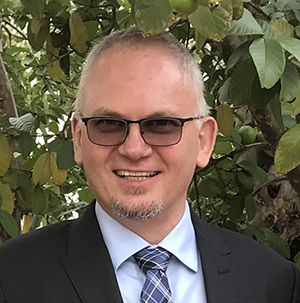 Damian Kabot has worked with the Lay Mission-Helpers Association since 2005, and formally joined the team in November 2018. He studied philosophy at the Divine Word College Seminary in Nysa, Poland, and then graduated from the Catholic Theological Union in Chicago with the Master of Arts in Systematic Theology and the Master of Divinity in World Mission. He studied Spanish and served as a missionary in Bolivia and Mexico and worked pastorally in East Oakland and South Los Angeles as a Divine Word Missionary. Immediately prior to joining LMH, Damian worked as Quality and Standards Coordinator for SDI Media, Inc. in Culver City, CA. His passion for service and deep appreciation of the missionary work of the Church led him to join the LHM team as the director of development. Sarah joined Lay Mission-Helpers in 2015. She was previously the associate director of public relations at Mount St. Mary’s University, where she edited The Mount magazine, created website content to showcase the university’s accomplishments and developed strategies to increase visibility. Prior to that, she has taught English as an adjunct professor at Biola University, worked in New York City as a magazine editor and at Dartmouth College as a public affairs writer. 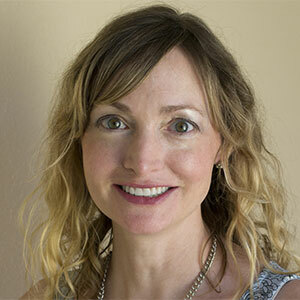 Luisa has worked in the administrative field for more than nine years. 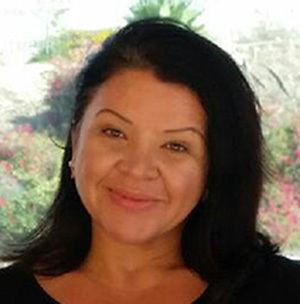 She is a true supporter of community activities in her El Sereno and East Los Angeles community, and serves on the Board of Directors for the El Sereno Community Arts Program. She enjoys helping her community with art workshops and fundraising activities, taking Zumba cardio classes and spending time with my family and friends. Luisa earned an associate degree from East Los Angeles College in behavioral science and legal studies, and hopes to pursue a bachelor’s degree in 2017.